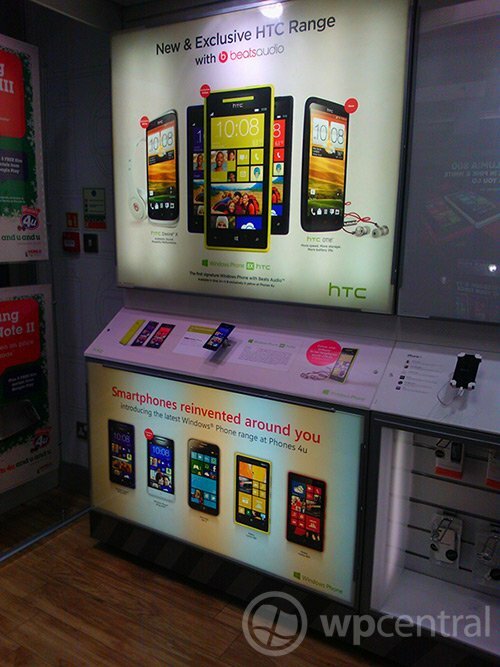 UK retailer Phones4u is starting to prepare for Windows Phone 8's arrival by setting up demo stands and promotion material in stores across the country. 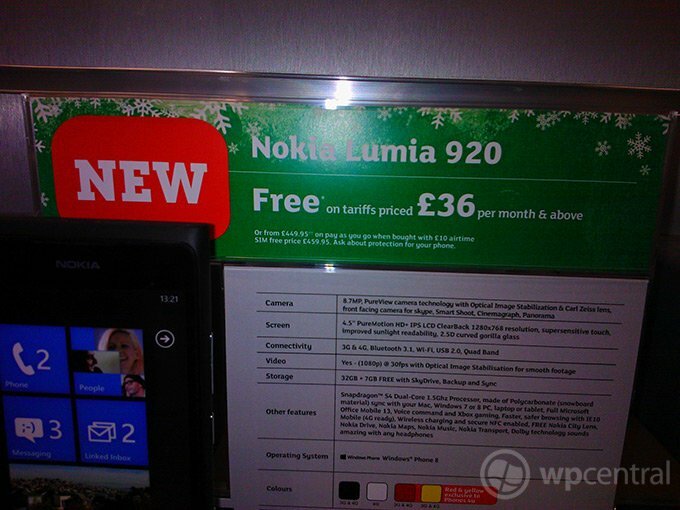 We've been sent in a collection of shots that show pricing, availability and exclusivity of the Lumia 920 - it's not all bad news. 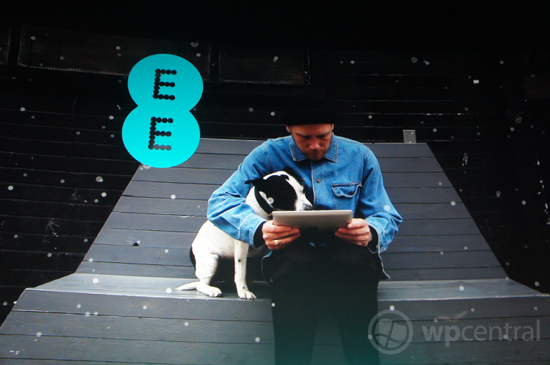 While EE holds the Lumia 920 exclusively for its UK 4G LTE launch, both Orange and T-Mobile will sport 3G plans for those who don't wish to use higher speeds, or pay the premium that comes with. 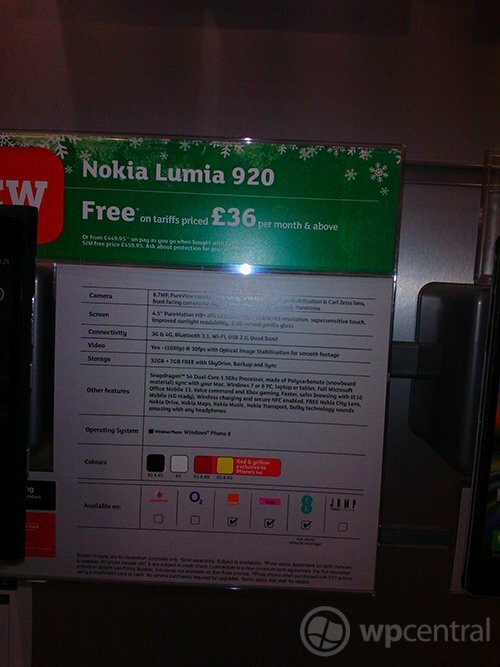 If that wasn't enough options, Phones4u is also offering the Lumia 920 SIM-free too, as well as carrying the device for EE and sister networks. While unlimited amount of SMS and calls is an attractive setup, the fact that only 500MBs of data is included on the cheapest plan (which isn't 'cheap' by any means) makes one reconsider options. Purchasing the Lumia 920 SIM-free from Phones4u will set one back by £459. According to material sent to us, the Lumia 920 is exclusively available in yellow and red at the UK retailer (white is reserved for EE only). We've also been told that the launch of the Lumia 920 on EE (as well as Orange and T-Mobile) is today, October 30th, though the website doesn't yet reflect this. We'll be heading down to one of the stores to confirm. Thanks, John, for the photos and info!